Herbalife shake has many variants and all the variants give the same benefits. The only difference you would find across is the Flavor. Since majority of individuals don’t know about the different flavors/variants of Herbalife I have compiled my top Herbalife shake flavors list. This list covers almost all the flavors of Herbalife that exists today. 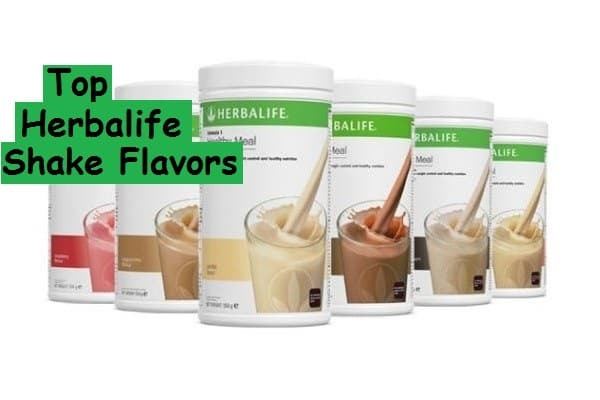 Before you could jump on to my list of top Herbalife flavors let me tell you the common things across all the variants. Number one on Herbalife shakes flavors lists is French Vanilla. 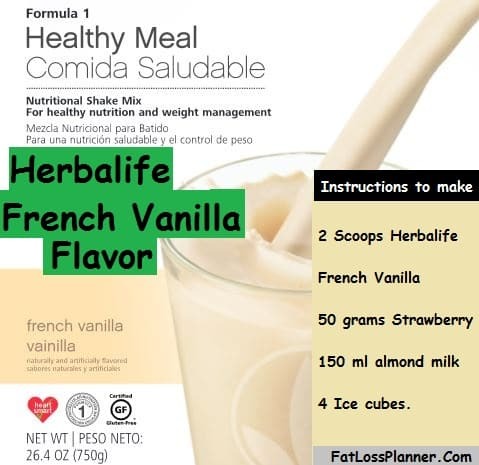 The ingredients in Herbalife French vanilla shake is same as above, the only addition would be French Vanilla and Plain Vanilla extracts. The taste of this meal replacement shake is simply amazing and it keeps you full for longer duration. You can either make plain French Vanilla shake or add some more items to make it even tastier. The one I like personally like is French Vanilla mixed with strawberry flavor. To make this weight loss shake simply mix all the ingredients and put it in the blender. Blend it thoroughly and your Herbalife shake is ready. Just like its other family members the ingredient remains same only addition to this is Cocoa powder, artificial dough flavors, Baking Soda, Xanthan Gum and Artificial cream flavors. Similar to other Herbalife drinks you can have this by simply mixing it in a glass of skimmed milk. Having said that, one I like is Oatmeal based cookie shake. To make this shake, simply mix all the above ingredients and blend it nicely. Have this tasty Herbalife weight loss drink for your lunch or dinner. 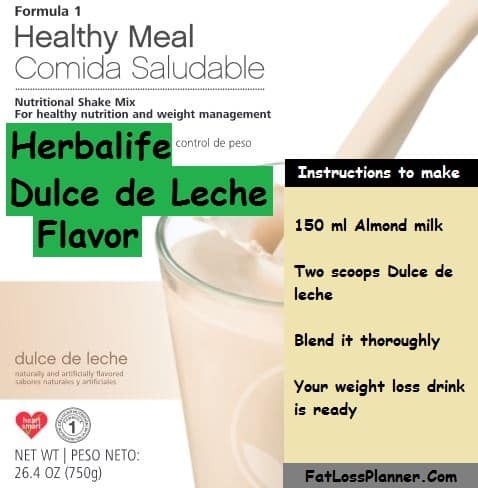 Next of my list of top Herbalife shake Flavors is Dulce de Leche. Again the ingredients for this weight loss shake would remain the same. The only addition would be Cajeta Flavor to the existing ingredients mentioned above. 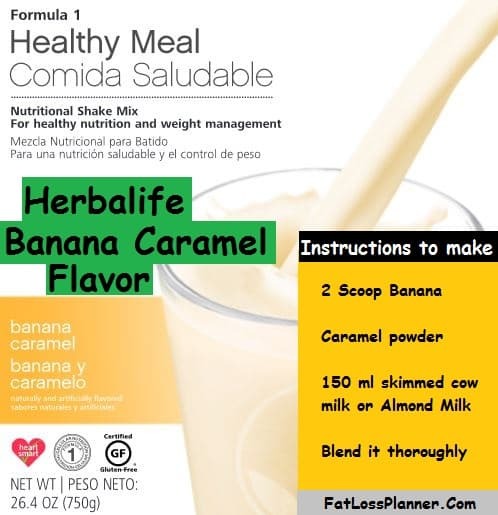 To make this shake you will need a glass of skimmed milk and Dulce de Leche Herbalife powder. Mix skimmed milk and Herbalife together and your weight loss drink is ready. You can make multiple combinations too, the one I like is Dulce de Leche with Vanilla Ice cream. To make Dulce de leche with Vanilla ice cream you would need below ingredients. Once you have the above ingredients ready, you can make this weight loss drink in 2 easy steps. Drink this at your breakfast, lunch or dinner. Even though this looks high on Fat, I don’t mind since its low in carbs. Furthermore this is the only thing that you need to have and no additional fillers, therefore you are not consuming any junk. 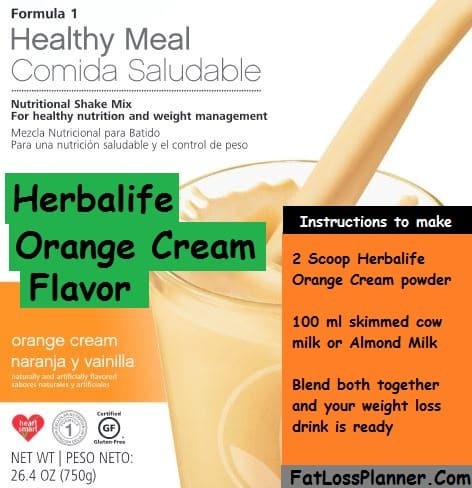 Next on my Herbalife shake flavors list is Orange Cream flavor. The orange taste comes from Artificial and Natural Orange cream flavor. That’s the only addition that is done to this drink keeping the other basic ingredients same as other variants. Again, to make this drink you can simply mix two scoops of Herbalife powder with skimmed milk and have it for your meals. The recipe that I like is Orange Vanilla weight loss Shake. To make this weight loss shake follow these 2 simple steps. Have it for lunch or dinner. Due to low carb intakes, it will also be suitable for keto diet. 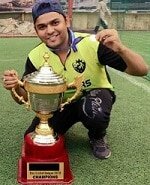 In fact I have written an article on top Keto Shakes for weight loss too. 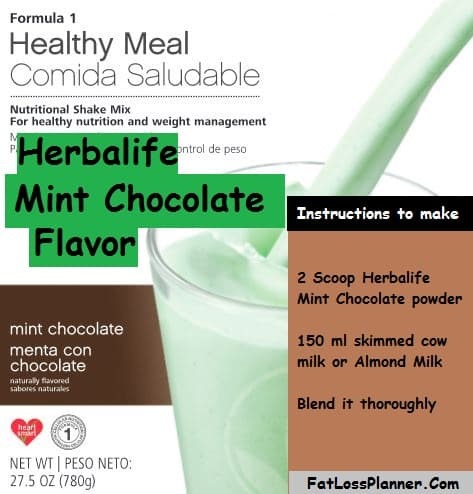 Minty chocolate too makes it to my Top Herbalife shake flavors list. This minty chocolate shares the same ingredients, similar to its other counter parts. Chocolaty and minty taste of this weight loss drink comes from Cocoa powder, Mint flavor and Baking soda. Simply take 100 ml of Almond milk and mix 2 scoops of Herbalife mint chocolate. Blend it thoroughly and have it for your breakfast or lunch. The recipe that I like is Mint chocolate with a tinch of vanilla. 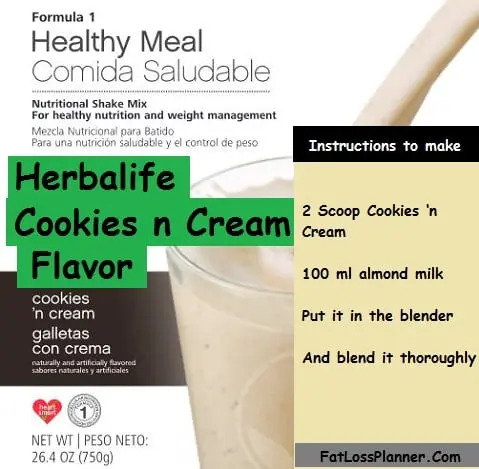 To make this premium flavored Herbalife shake follow these 2 simple steps. Step 1: Put app the above ingredients in a blender. Have it without any fillers or junk food. It is slightly high on fat but don’t worry as you are limiting the carb intakes. 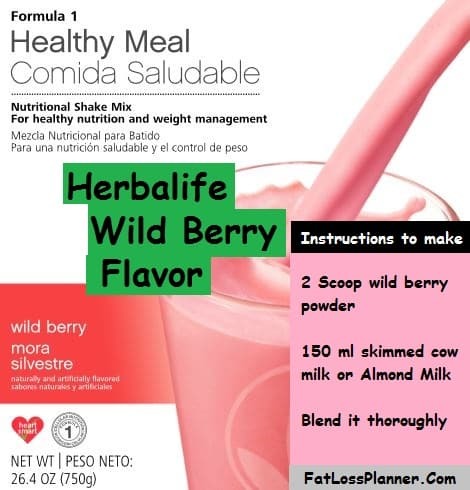 Don’t go by the name as the ingredient used to make this shake is same like other Herbalife shakes. What gives this shake a unique taste is Cocoa Powder (Processed with Alkali) and Natural and Artificial Vanilla Flavors. Step 1: Put 100 ml Almond milk and 2 scoops of Dutch chocolate shake powder in a blender. To make it even tastier you can add half chopped apples or half a banana. While addition of banana and apples may sound addition of calories, don’t worry. Even if you add calories it’s still less as compared to conventional lunch or dinner. Furthermore avoid having anything else when on Herbalife diet. Enjoy an awesome blended taste of berries. Unique flavor to this shake comes from artificial strawberry flavor, Natural and artificial raspberry flavor and stevia leaf extracts. Two scoops of wild berry powder and 100 ml skimmed milk is all you need to make this weight loss shake. To make it tastier you can add few drops of Vanilla and half a banana. The process to make this shake would remain the same. 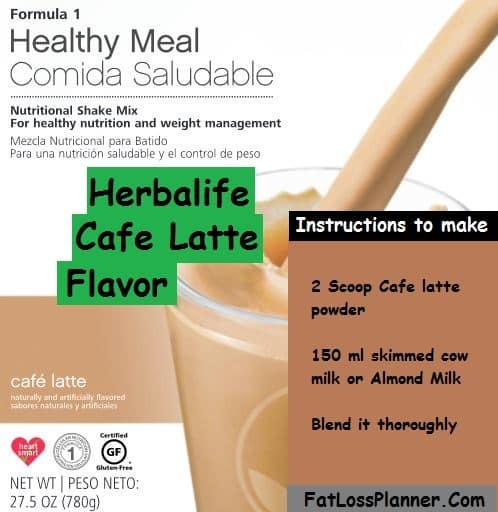 Next on top Herbalife shake flavors list is Café Latte. The name itself says what to expect, enjoy this weight loss drink in amazing coffee flavor. The unique blend of coffee and cocoa taste comes from Natural and artificial cocoa flavor, Cocoa powder (Processed with Alkali) and Coffee powder rest all the ingredients remain the same. To make Café Latte weight loss shake you can follow the below steps. 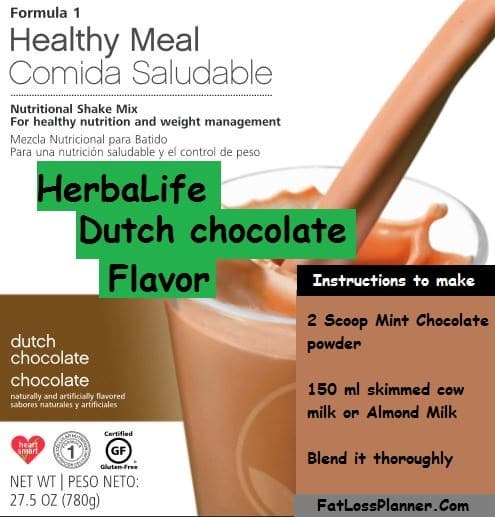 Enjoy this coffee flavored Herbalife weight loss shake for your breakfast or lunch. Don’t go by the fancy name, the real flavor to this weight loss shake comes from Artificial Pineapple flavor and Natural and artificial coconut flavors, rest all the ingredients being same as other counter parts. 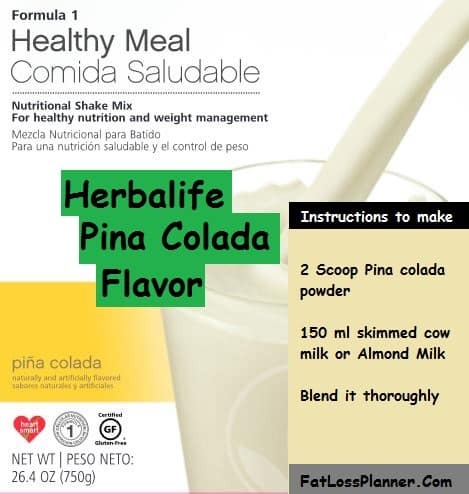 To make this tasty Pina colada flavored shake follow the below steps. Step 4: Add few drops of stevia extracts if you wish to make it even sweeter. Key to this tasty flavor are Papain powder and Natural and artificial flavors. As the name suggests the flavor of this drink is Similar to banana milk shake. But it its extremely low on calories when compared to a standard banana milk shake. To make it even tastier by adding few more calories you can add half a chopped apple. This will give you fruit punch like flavor. 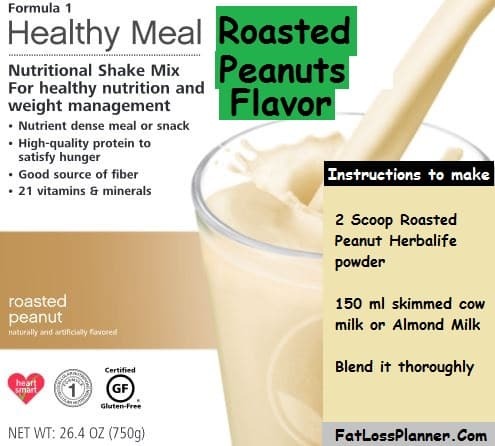 Last in my Herbalife shake flavors list is Roasted Peanut butter shake. The name itself suggests what kind of flavor to expect. The taste or roasted peanut butter comes from Natural and artificial peanut butter flavor and Stevia extracts. To make this tasty weight loss shake you can follow the below steps. I personally don’t like to add anything else apart from this. The roasted peanut flavor gets easily diluted upon addition of any other ingredients. Thus keep it simple. Use any flavors the calorie content will remain the same more often. The idea of using Herbalife shake is to replace the high calorie meals. Having said that it’s not recommended to replace all the three meals with Herbalife. Instead use it as a supporting tool. Replace your regular meals with the highest calorie meal of the day. For example if you consume highest calorie at lunch then replace it with lunch. Likewise if your dinners are heavy replace it with Herbalife shake. This concludes my top Herbalife shake flavors list. Have you tried any other flavors yet? If so please don’t forget to comment on the box below and I will add it to my list.